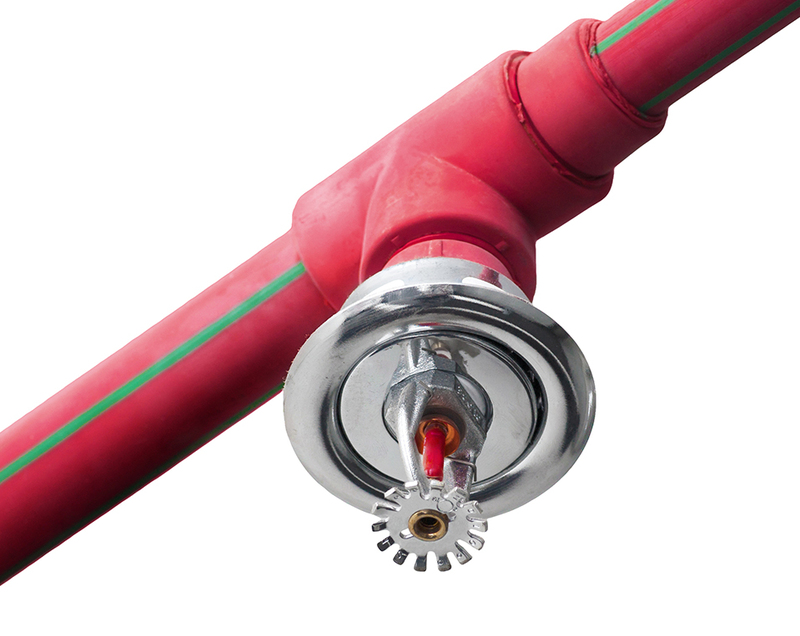 Fire sprinkler systems are not only legally required in most multi-unit residential dwellings, they give considerable peace of mind to property owners. New construction attached to an existing structure needs just as much protection as the main part. Sprinkler pipes and fittings must be extended into residential property additions. This is especially necessary if entire new units were added to a larger building. A residential remodeling project gives fire protection experts the opportunity to run lines and install sprinklers or check on existing fire protection services and make any repairs necessary. Older buildings may not have the most effective sprinklers for fire control. When a building is taken down to the studs, installation of a modern fire sprinkler system not only is a smart idea for future protection, but may also be required by current building codes. RidgeCP offers full service fire protection inspection, design and installation of the most up-to-date systems and fixtures. For new residential construction projects, we determine the overall needs of sprinklers and lines to properly protect each unit. For existing buildings with sprinkler systems in place, we carefully determine if they are sufficient or need updating or replacing. Designing the perfect system takes not only the years of experience our fire protection employees have amassed, but also the latest in software programs built specifically for this purpose. They allow us to create precisely the unique sprinkler solution each residential property needs. Next, careful and code-compliant installation takes place. If there is already a sprinkler system installed, our experts inspect, replace and repair every inch of the pipes, lines and each sprinkler head. With over 800,000 feet of sprinkler line installed, our dedication to providing the highest quality fire protection for residential properties is well-established. Fire protection systems are designed in house by a NICET Level III certified designer specializing in Automatic Fire Sprinkler System Layout. Quick turnaround and 100% accuracy are assured with AutoCad software-based system design. We never cut corners when it comes to fire protection for residential or commercial buildings. All of the products used in the computer-designed systems are sourced from the most highly recommended brands known in the industry. Fire sprinkler system installation requires close compliance with local and state codes and guidelines. Every fire protection setup we design for single or multi-unit residential properties gets the OK from the Fire Marshall. We put our name and reputation behind every fire protection and sprinkler system we design and install. Our dedication is not only to the property owners who hire us, but also to all the future residents who rely on our systems to keep them and their families safe.